Want schedules at your fingertips? Download our FREE Mobile App! 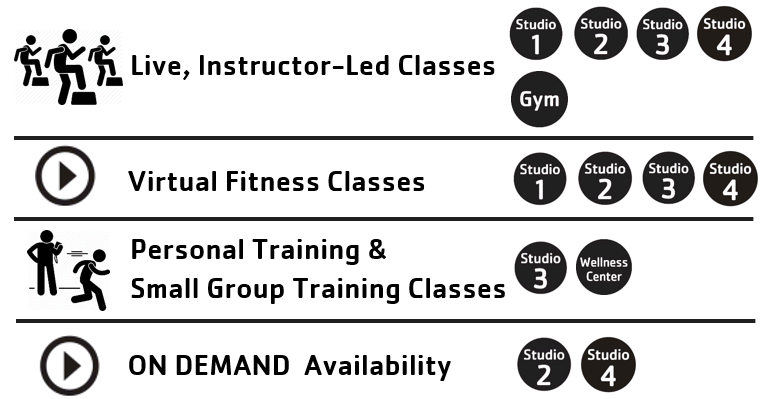 Fitness schedules are also posted by studio doors.